FacilitiesGuests of the establishment can enjoy a wide and varied range of facilities, services and amenities during their stay. 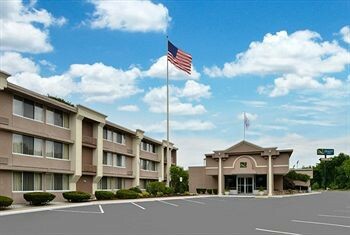 The facilities include internet access.RoomsThe establishment offers non-smoking rooms and smoking rooms. Each accommodation unit offers a double bed or a sofa-bed. A desk is also available. A fridge and a microwave contribute to a comfortable stay. An ironing set is also available to guests. Each accommodation unit offers internet access, a telephone, a TV and wireless internet access.Sports/EntertainmentSport and entertainment options are available at the establishment. The establishment offers an indoor pool. Leisure options at the establishment also include a gym and a sauna.